Our oral histories are a treasure. Ask any family member who has seen their loved one on camera, opening up about their war experience in a way both beautiful and sorrowful. For many of these families, this is the first time that their loved one has spoken openly about the war, and over the course of our filming, these families get to learn more about their loved ones than they had previously known. 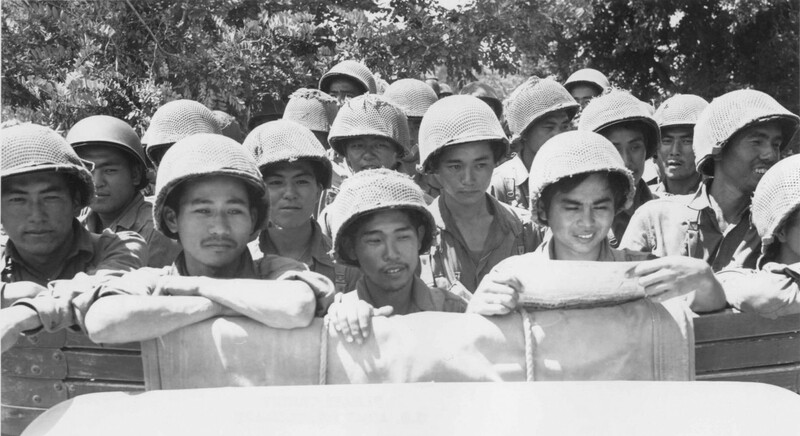 I myself am not Japanese American, but I had two cousins who fought for our country in World War II. How I wish that both of them could have had the chance to sit down and record their oral histories. Because they never had this opportunity, I know very little about their wartime experiences. Bernie Brusatte was 21. He enlisted alongside his cousin Ray Brusatte, also 21, on October 7, 1942. Of that much I know, but little else. Why did they join? What motivated them? What were their thoughts about the war, their sacrifices, about leaving their families behind? I definitely had the chance to ask my cousin Bernie about his experiences before he passed away when I was in high school, but I never did. I wish that I would have. I don’t know if he would have felt comfortable sharing his experiences, but I at least should have asked. Thanks to our organization, almost 1,200 World War II veterans have been able to share their personal stories. Their families – and also generations of historians, students, and the general public – now have the ability to watch the footage of their interviews and learn about their courageous lives. Even hundreds of years into the future, their stories will not be lost. Even after the last of this remarkable WWII generation has passed, their primary accounts will live on. Our oral history videos ensure that. Even though I can never revisit the chance to sit down with my cousins and talk to them about the war, I can at least view the oral histories of their contemporaries. Through these stories, I feel that I can learn a little bit about the time in which my cousins lived, and the circumstances that they were called to face with courage. I invite you all to do the same. Check out our website. View one of these courageous men’s oral history videos. I promise you that you will be glad that you did. Footsteps. That is perhaps what archives and historical documents leave us. A well-worn path, trodden by the footsteps of those who have gone before us. The person may be gone, but his marks remain along the path. His journey may be over, but it can influence ours which is just beginning. Our archives are here for your guidance. The footsteps remain visible. Let’s build on it.